In flight from a violent relationship, Kate Ashenberry arrives in London and finds sanctuary in a vast Victorian mansion block which will, she hopes, give her the anonymity and security she seeks. Disillusioned by her lover and abandoned by her family, she faces the prospects of Christmas alone with only a stray kitten for company. Gradually, however, she gets to know her new neighbours – the daffy, delightful Barclay-Davenports next door; the exotic Eleni across the hall with her secret life; high-flying Miles with his chilly, ambitious wife; aristocratic Lady Wentworth whose family made her a Lloyds Name; charming, uncatchable Gregory Hansen; and the awful Mrs Adelaide Potter who dominates the other residents with her ruthless autocracy and acid tongue. And lovely Connie Boyle, the New York actress who becomes Kate’s best friend. As their lives grow closer and begin to merge, Kate discovers she has a whole new family. And yet something is not quite right. Some of the residents seem almost too friendly and, occasionally, Kate feels sure she’s being watched. 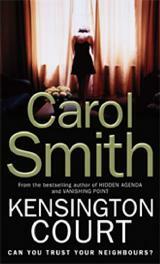 It is only when the killing starts that the cosy camaraderie of Kensington Court collapses entirely. For no-one, not even Kate, can foresee who the friendly neighbour will pick as the next victim. 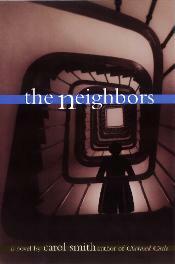 Kensington Court is published as The Neighbors in the USA.